Burundi’s president Nkurunziza has today been overthrown by the country’s military, after weeks of bloodshed and instability in the capital Bujumbura. The bloodless military coup comes, following the ruling two weeks ago of the country’s Constitutional Court upholding the decision of the president to seek a third term in office, contrary to the constitution and the agreed peace accord. President Nkurunziza was away in Tanzania where he was taking part in talks with the leaders of neighbouring countries, to find a peaceful resolution to the chaos and violence that had gripped Burundi for several weeks. Today’s coup must be a warning to other leaders in Africa that are contemplating a third term, contrary to constitution, as well as abusing their office. ‘Do not underestimate the power of the people and the silence of the military’. Thousands of people in Burundi are celebrating the overthrow of the president, who is insisting that he is still in charge of the country. But the military general leading the coup, who is also the former head of intelligence in the army, said that the ousted president is not allowed to return to the country, as the army continues to consolidate its position and calls for calm. It is not yet clear what will be the response of the police, whose credibility and independence have been strongly questioned. Analysts say that the police is no match to the well trained and heavily armed military, who up till today had remained totally quiet and neutral, whilst heavily armed riot police brutalised protesters. Over a dozen protesters have been killed by the police and hundreds more injured, in weeks of protest against the decision of president Nkurunziza to run for a third term. 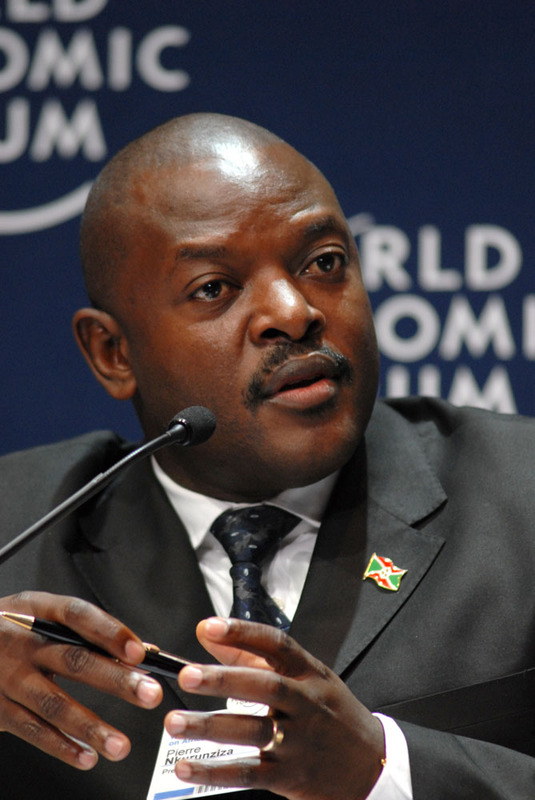 Elections are due in Burundi next month, and president Nkurunziza says that he will return to contest those elections. Today’s coup in Burundi will be seen as a breath of fresh air across several capitals in Africa, serving as a reminder to other despotic leaders in the continent, who are violating their country’s constitution and are determined to hang on to power. Whilst they may have some of the military and police chiefs living off the corrupt handouts they are dolling out in return for looking the other way, there is always one patriotic and brave military leader, who is prepared and willing to stand up for justice and civil liberty. In Sierra Leone, the head of the army was forced to confine the army to barracks, warning them to keep out of politics. But observers say that the military in Sierra Leone is highly politicised, and there are serious divisions within the ranks. 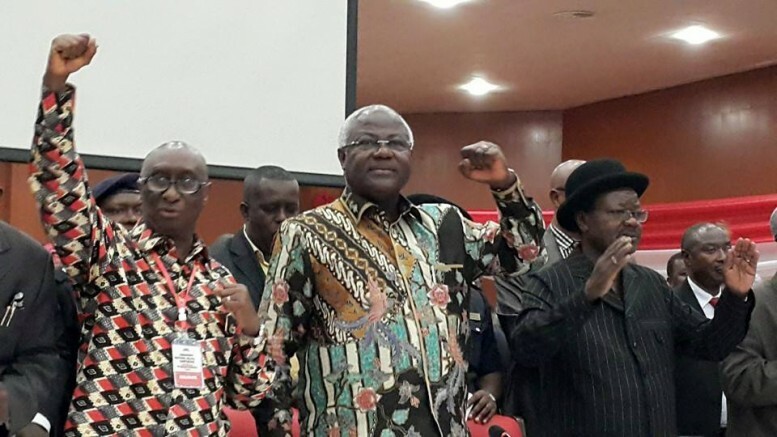 President Koroma and his political cronies, who are planning to amend the country’s constitution so as to allow Koroma to contest a third term election, should take cognizance of today’s events in Burundi. Last year, rioting protesters in Burkina Faso, brought the violent downfall of the country’s president, following his constitutional violation and disrespect for civil liberty, which saw the burning down of the parliament. Oh I never thought I would ever find myself rejoicing over the toppling of an elected president by the military. As a matter of principle I strongly believe that the army has no business in interfering in politics. But there has to come a time when those entrusted by the people to uphold and maintain the rule of law and the sanctity of the constitution, become the violators of those laws, must be dealt with severely. And if the country’s judiciary cannot do this because they are in the pockets of the president, and the police cannot enforce the rule of law either, then we cannot expect the military to continue to fold their arms and crossed their legs watching the unfolding carnage and human rights abuse being committed by the president and his heavily armed militia. I will expect and will welcome under those circumstances, for the army generals to take over power, bring back sanity and return the country to democratic governance through the ballot box. I agree that what has happened in Burundi must be a lesson to president Koroma and the ruling APC, and this lesson must also apply to all the other political leaders and their parties for that matter – irrespective of tribe. We cannot afford to see the resurgence of another generation of dictators in Africa. The last five decades have witnessed nothing but poverty and wars across the continent, caused by greedy, corrupt and despotic leaders. Enough is enough. 50 years of wasted opportunity – now we cannot even feed ourselves and clean up our filth. HELL HATH NO FURY, THAN A PEOPLE SCORNED BY THEIR CORRUPT AND DESPOTIC LEADERS!! I have always believed in change of government by the BALLOT – not the BULLET. But this is what happens when dictators try to move the goalpost after the rules are set, and the game is on. They fall hard on their face. “Messi”, you don’t hear me though!